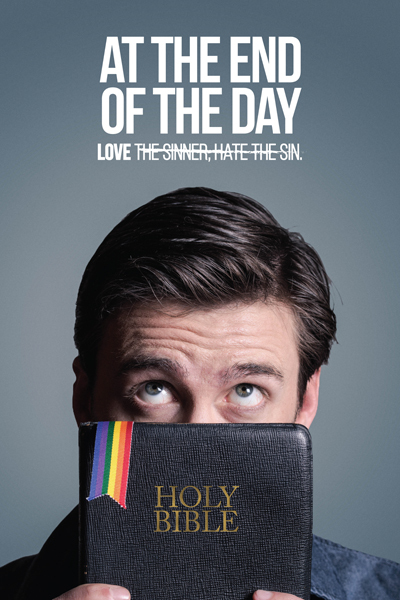 The award-winning "At the End of the Day," from writer-director Kevin O’Brien, premieres On Demand this February. In an acclaimed performance, Stephen Martin (“Sleepy Hollow”) plays a conservative, Christian professor that experiences a profound change when he finds himself planted in a gay support group to stop their plans to open an LGBTQ youth shelter in their small town. After losing his wife and counseling practice, the only thing 32 year-old Dave Hopper has going for himself is his part-time professorship at his alma mater, a growing Christian college. And the only reason he even got that job was because his previous professor, now ambitious dean, pulled a few strings. The dean’s plans for growth hit a snag when the property he wants to develop has been promised to a gay support group – which has plans to open an LGBT homeless teen shelter if they can raise the money in time. The dean is forced to take drastic measures, offering Dave his dream job, but he only gets it if he goes undercover in the group and stops them from raising the funds needed to buy the property. Dave reluctantly agrees, and for the first time, is met face-to-face with the community he has been counseling against his entire career. The awkward and emotional experiences that follow lead Dave on a journey of truth, revealing that life and love are not as black and white as he first thought.